Since the 1960s, the world's population has more than doubled and agricultural production per person has increased by a third. Yet this growth in production has masked enormous hidden costs arising from widespread pesticide use - massive ecological damage and high incidences of farmer poisoning and chronic health effects. Whereas once the risks involved with pesticide use were judged to be outweighed by the potential benefits, increasingly the external costs of pesticides, to environments and human health, are being seen as unacceptable. In response to this trend, recent years have seen millions of farmers in communities around the world reduce their use of harmful pesticides and develop cheaper and safer alternatives. The Pesticide Detox explores the potential for the phasing-out of hazardous pesticides and the phasing-in of cost effective alternatives already available on the market. 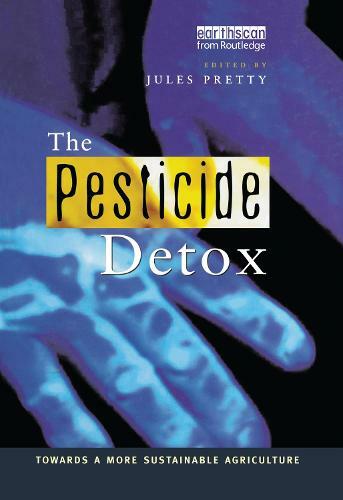 This book makes clear that it is time to start the pesticide detox and to move towards a more sustainable agriculture.